Man-made noise is everywhere. Close your eyes and listen right now: cars, airplanes, lawn mowers, computers. We buy earplugs and noise-canceling headphones. But what about finding places where there is no human noise—where the sound of silence is wind, coyotes, the drip-drip of melting snow? 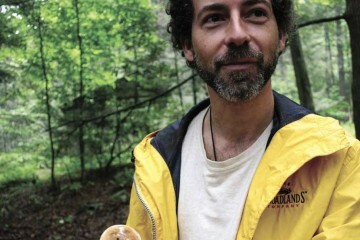 Hempton has dedicated his life to preserving the last truly quiet places left in the U.S. 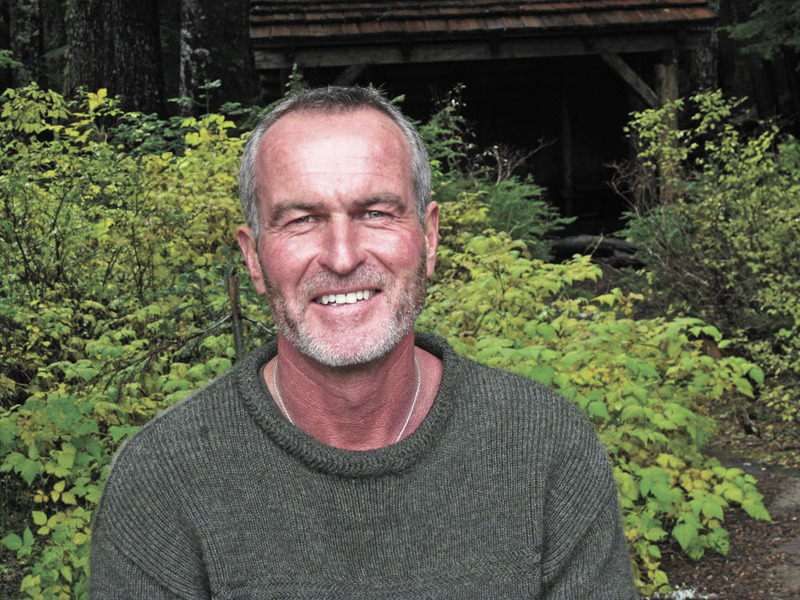 He has recorded natural sounds on every continent in the world except Antarctica and, in 2005, he drove across the country exploring our national parks and wilderness areas in search of land where no man-made noise could be heard. He found only 12 places that he considered truly quiet—one of those was near Joyce Kilmer Memorial Forest in North Carolina. 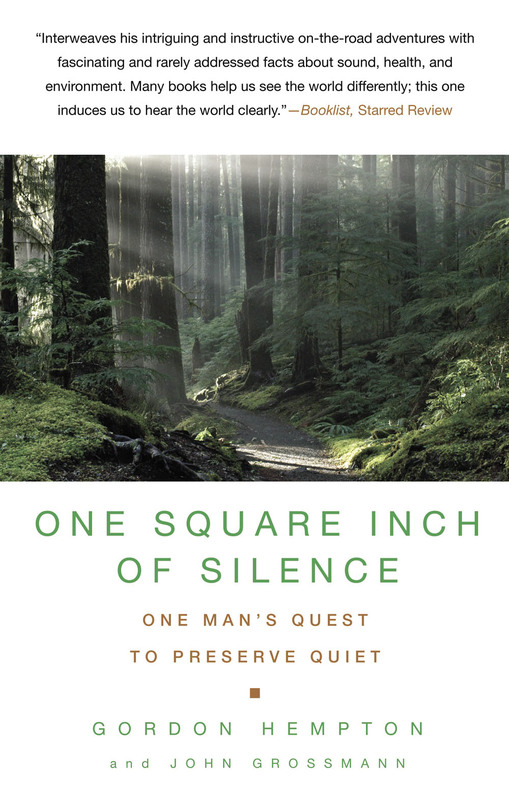 He recently published a book about his quest for silence called One Square Inch of Silence, and is working to establish the nation’s first “sound preserve” within Washington’s Olympic National Park, which Hempton claims is the quietest national park in the country. what exactly does an acoustic ecologist do? Hempton: I consult with companies like Microsoft or institutions like the Smithsonian. If they want to make a video game or a display with a natural setting, I’ll determine how it would sound accurately. Each place sounds different, and people know when it’s genuine. An acoustic ecologist can look at a photo taken in the forest and interpret it in terms of natural soundscape. Over the thirty years I’ve been working in this field, I’ve watched as our fossil fuel consumption has expanded, and seen how that expansion directly transfers into noise pollution. 15 minutes of quiet doesn’t seem like it would be hard to find. Hempton: People think there are quiet places all around them, but what’s really happening is that we’ve learned not to listen. We’re also suffering from noise-induced hearing loss, so that we literally can’t hear the noise around us anymore. We’re cut off, disconnected from the world around us, so we don’t realize how much man-made noise there is intruding in our natural world. We don’t see power lines any more because they’re so ubiquitous. Our natural response to living in a noisy world is to stop listening. what’s causing all the noise in our wild places? Hempton: Air traffic is the number one noise polluter of wilderness areas. This includes both airline jet traffic and air tours. Last year, there were 90,000 air tours over the Grand Canyon. I work to preserve the soundscape of Olympic National Park by writing nice letters to the sound polluters asking them to curb the activities that are making the noise. So far, the airlines have made some concessions to avoid flying over Olympic. But the FAA makes no effort to avoid our national parks anywhere on the continental U.S. But the FAA will respond if there’s legislation or even a groundswell of community support. They reroute flights in and out of Laguardia every year to avoid the U.S. Open Tennis Tournament. I think they can do the same for our most pristine parks. What we need is a single piece of legislation that prohibits all aircraft above our most pristine parks. Hempton: In the fall of 2003, I experienced a sudden and drastic hearing loss of 60 to 90 decibels, which is a severe loss. I was on the edge of financial and emotional ruin. Luckily, my hearing returned. That made me realize that I can’t leave it up to someone else to preserve these places. So I vowed to defend the quietest place in the lower 48, this one square inch in Olympic National Park. It may seem that protecting one square inch is a pretty modest goal, but sound travels up to 20 miles in every direction. By monitoring and managing that one square inch, I’m in effect protecting 1,256 square miles from noise pollution, which is roughly the size of Olympic National Park. In your book, you identify 12 quiet places in the U.S. Is there any quiet left to be found in the Southeast? Hempton: Very little. I recorded 15 minutes of silence in Joyce Kilmer Memorial Forest on a Sunday in June at dawn, which is a very precious time for listening. But it’s very difficult to find other quiet places east of the Mississippi because of the jetways, railroads, and the operation of coal-fired power plants. You look at a fossil fuel plant, that smoke stack is like a huge flute of noise. Look at the power grid system in the Southeast; you can’t get away from those plants. We’re facing some dire environmental issues right now. How do you convince politicians and the American public that quiet is worth fighing for? Visit what Hempton believes to be the quietest spot in the Southeast in Joyce Kilmer Memorial Forest deep in Western North Carolina. Hike the two-mile Joyce Kilmer Recreation Trail and listen to the sounds of nature while surrounded by massive old growth yellow poplars that are more than 100 feet tall and 20 feet around. Looking for quiet closer to home? Try to find the most naturally dark forest near you. Light pollution is the cousin of noise pollution. Spruce Knob in West Virginia and Cherry Springs State Park in Pennsylvania are widely considered to be the darkest spots in the Southeast and Mid-Atlantic. Rerouting air traffic around our national parks may sound like a tall order, but in most cases, the adjustments to flights would barely be noticeable. According to airline studies, it costs $66 per minute to operate a standard passenger flight. 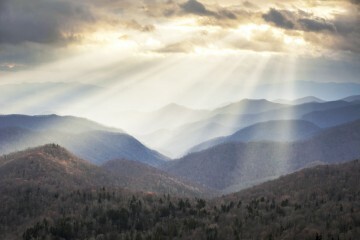 Rerouting flights around Great Smoky Mountains National Park or Shenandoah National Park would only add one extra minute to the typical flight, costing less than $1 per passenger. 72 percent of national park visitors say that one of the most important reasons for preserving national parks is to provide opportunities to experience natural peace and the sounds of nature. But it’s not just people who are looking for some peace and quiet. Research has found that wildlife can suffer adverse physiological and behavioral changes from intrusive man-made sounds like aircraft, underground pipelines, and road travel. Some sounds have even been found to suppress a species’ immune system and increase levels of stress-related hormones in animals. Studies have also shown that songbirds that live in places with increasing sound levels have to sing louder than birds in quieter environments, and not all species have the ability to adapt in this way. Birds forced to sing at a higher volume have to expend increased levels of energy to attract a mate or warn of predators, and intrusive sound can adversely affect whales’ communication and health. Previous ArticleIs it offensive for guys to run shirtless or women to run only in sports bras?